The apex Yoruba socio-cultural group, Afenifere has criticised the Federal Government over its warning issued to prominent Nigerians against inciting statements. The Senior Special Assistant to the President on Media and Publicity, Garba Shehu, had in a statement, said unrestrained pronouncements were capable of encouraging criminals to defy legal and democratic institutions. 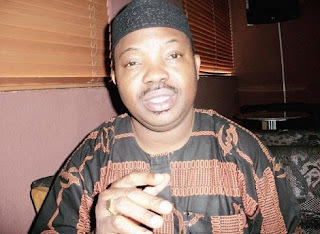 Reacting, Afenifere, in a statement by its spokesman, Yinka Odumakin described the Presidency’s reaction as insensitive and offensive, and an indication that the government supports the activities of the killer herdsmen. He called on the United Nations Special Rapporteur on Genocide to investigate the killings before a chaotic situation breaks out in the country. The statement reads, “Is it asking Nigerians being killed to defend themselves that could lead to a breakdown of law and order? Seventy-three people were killed in one day in Benue. “Many people have been killed in the last three years. Not one person has been brought to book by this government. “This statement is so embarrassing, offensive, unfeeling. It shows clearly that the Nigerian Government is fully behind the activities of the herdsmen who are killing people and that is why we restate our demand.